Episode 20 – You Got A Problem? 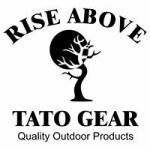 This month we get a chance to talk to a couple of folks who have been involved in the hammock camping community for quite a while – Bryan Oates and John Gresham of Tato Gear. Not only making amazing stoves, Bryan has been solving those little problems with hammocks and hammock systems for a while (Jonathan, for instance, uses the ridgeline quilt hook for getting rid of drafts in his underquilt). We chat with the guys about how they got into hammock camping, the type of gear they use, and their experience doing kickstarters, like the one for their hammock stand. **Notes on the giveaway mentioned in the podcast** – add a comment below anywhere we’ve posted (forums, website, or social media) and be automatically entered into a drawing for a Tato Gear Element woodburning stove! The comment can be a kudos, criticism, or suggestion for an upcoming guest. We’ll do a drawing before next month’s podcast and mention the winner on the podcast and in our social media. We also chat about the media we check out online – podcasts and youtube content. Jonathan likes a couple of podcasts (of course), and Mark, John, and Bryan have some YouTube favorites. Finally, Mark and Jonathan wax a little too much about their favorite “gadgets” they bring onto the trail. I’d love to win a new one! My son and I went hammock camping for the first time last summer and it was an adventure! Thanks to you guys I think I can make the next trip WAY better! So thanks guys! Excellent show! Would like to hear/learn more about DIY suppliers and design resources. Love to hear more from the leaders/innovators-even from the larger companies-thinking about designers from Eureka (short lived chrysalis), ENO and REI (quarter dome). Please enter me in the stove give away. Another great podcast with two great guys that I’ve had the pleasure of meeting.through Palmetto State Hangers. The four of you are great Ambassadors for the hammock industry sharing your passion and knowledge. Thanks for putting these out so consistently! Even as a long time hammocker, I learn something every time. I’d checked out TATO years ago but not since. Nice to see where they are now. I’d love to hear if you have any ideas or experts on multi-use systems: setups that can hang or go to ground comfortably without tons of compromises. In alpine areas we often go from tons of trees to zero. Thanks for all the hard work you put into these. Great podcast guys. I agree more DIY shows would be awesome. There is so much gear one can make, but where to start. Great show and I love my tato gear stand. Stand up guy and company. Great show! The Element Stove looks very cool. Love the Podcast. Definitely going to be checking out Tato and their offerings! Seems the links to DutchWare aren’t working, but will continue to try back to check out the options. Hey guys, thanks for making these podcasts. Please count me in on the drawing for the Tato stove. Would also agree, a couple of episodes on DIY would be fun. Love my quilt hooks. Looking to get a tato hammock stand soon. Keep up the great work! Great job as always! I like how you put a face to the products in the hammock world. Always neat to hear where these folks get the inspiration fit their great products. Thanks for keeping me entertained at work. Love the podcast. You always have great guests. Looking forward to the next episode guys. I subscribe through iTunes but have left a comment here. How about a shout out for all the Scottish hammockers? Great podcast! I listen every month. It’s fun to hear interviews with people from the forums and you tube. I really enjoy getting the “backstory”. Please enter me in the drawing, if I’m not too late. Love listening to you all on our way to trips to Hoosier National and Red River. Love the show! Great content and guests! Love hearing the stories from all the innovators.